I try to incorporate all different design styles here on the blog, but I have to admit that I know I tend to show more contemporary and modern kitchens since that's where my own tastes lie. In an effort to be more diverse I thought I'd show different design styles in kitchens this week. I'll be covering one style per day including Traditional, Country, Craftsman, Vintage and Rustic. 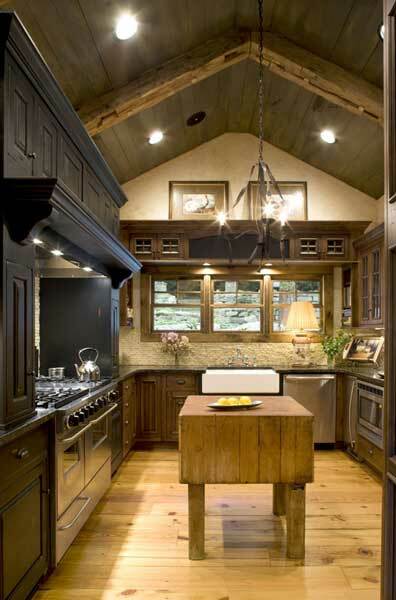 Rustic Kitchens bring together country style furniture and modern kitchen conveniences and decor. They have a connection to the past and make good use of repurposed items. 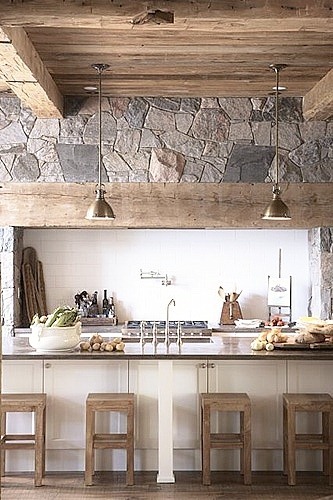 Rustic Kitchens are all about patina. 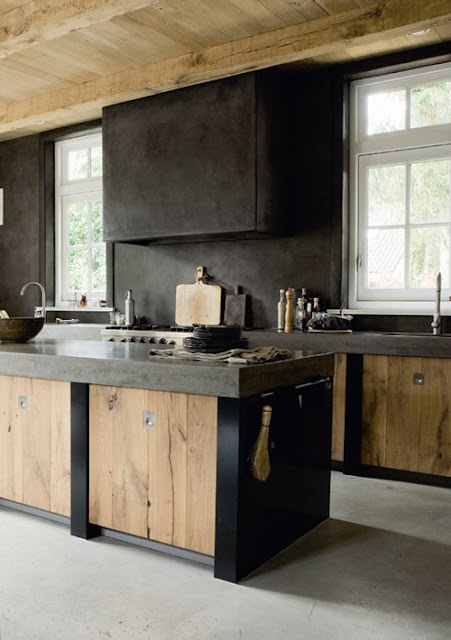 So marble, soapstone and limestone are all great countertop choices since they are stones that develop a patina. You will see granite too, but it's better if it's not too shiny. A honed or satin finish would be ideal. 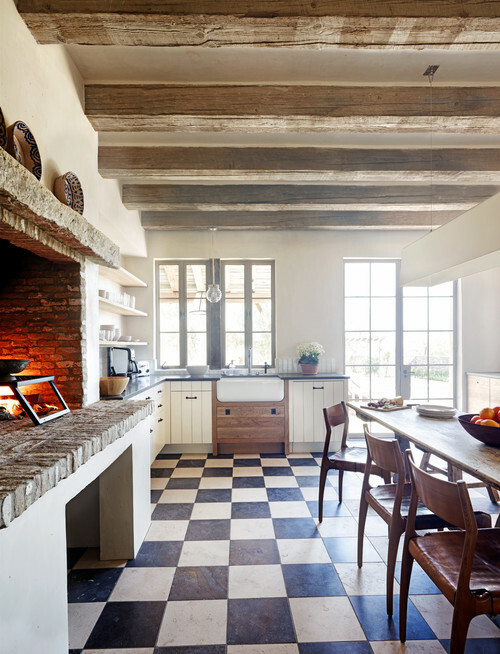 Backsplashes are slate, tumbled travertine or a matte porcelain tile. 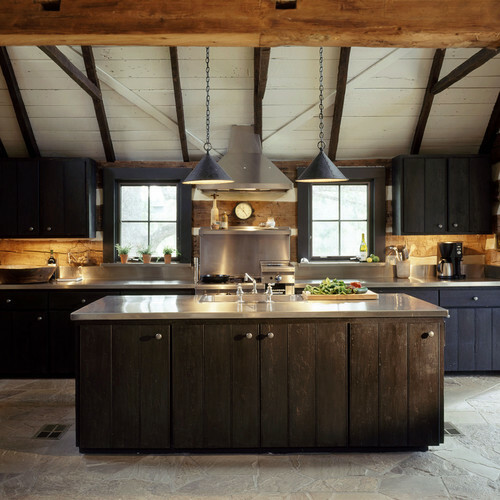 Farmhouse sinks are popular for Rustic Style Kitchens. 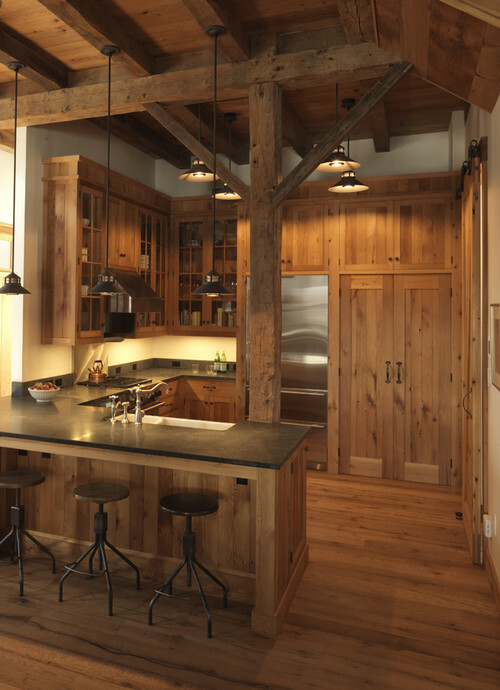 You will often see wood beams, stained or painted cabinets with a distressed finish. 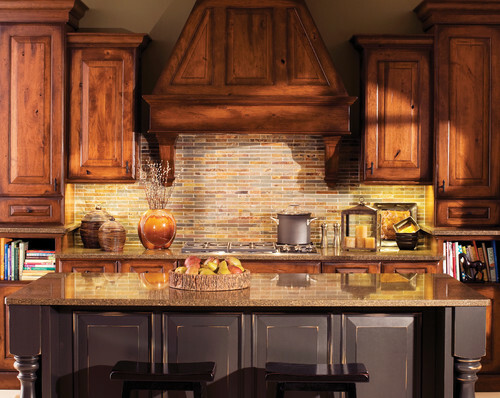 Colors are generally warm and earthy. 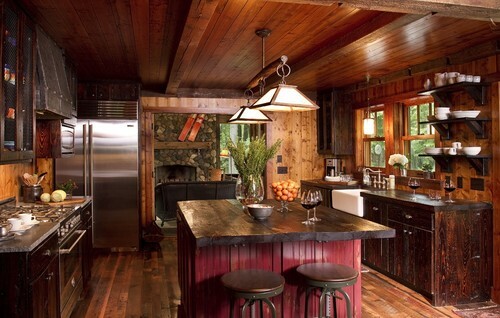 Rustic Kitchens can be more modern or more country, I'll try to show a mix of both. 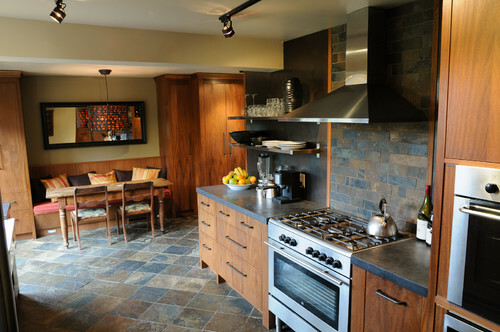 Eclectic Kitchen design by San Francisco Design-build The Last Inch,Inc. I hope you all enjoyed Design Style Week! I know we just scratched the surface...there are a lot of different design styles out there. What was your favorite style this week? 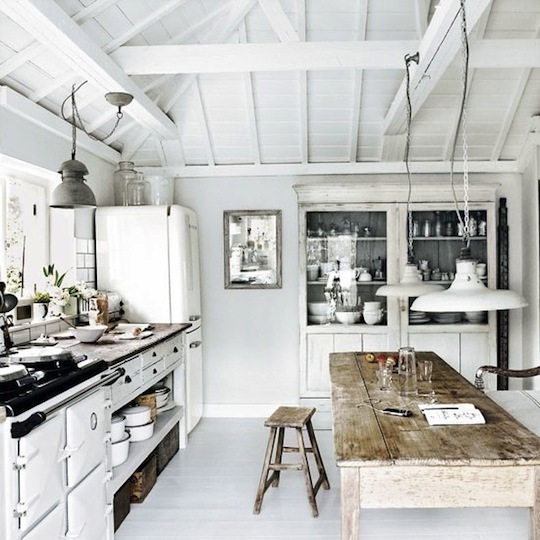 I have really enjoyed your showcase of kitchen styles this week! While my personal style leans towards traditional and craftsman, there was something to enjoy in each of the styles. I especially liked the bottom picture in the vintage modern post. Thanks for your amazing blog! It's been fun to showcase some different styles this week.